I do like the red, very much so. 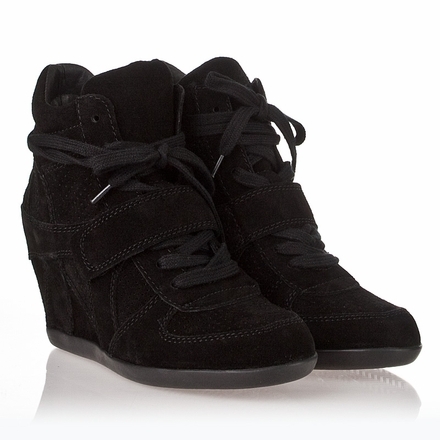 The black reminds me of this shoe we have at work that I’m in love with: http://intheircloset.com/wp-content/uploads/2012/02/pour-la-victoire-chaney-wedge-booties-black-suede-christian-louboutin-belle-zeppa-knockoffs.jpg but my work crush is a size 6 and we only have an 8 left. Way too much story in this comment, oops. Um, awesome! The price is a bit high so I may be going with the Target version.